I think I am making some headway in training. On the other hand, maybe I am just no longer the new kid on the block. I get a lot less random corrections these days. I still get the eyeball from certain sempai, but they usually just say ok, mostly. sometimes like the other day when showing my Kimono technique I get the hand wave thing. Dame dame. It is a different “relax” than say Tai Chi relax. There one is not limp but minimal power is needed to keep the arm up without the drawing effort. 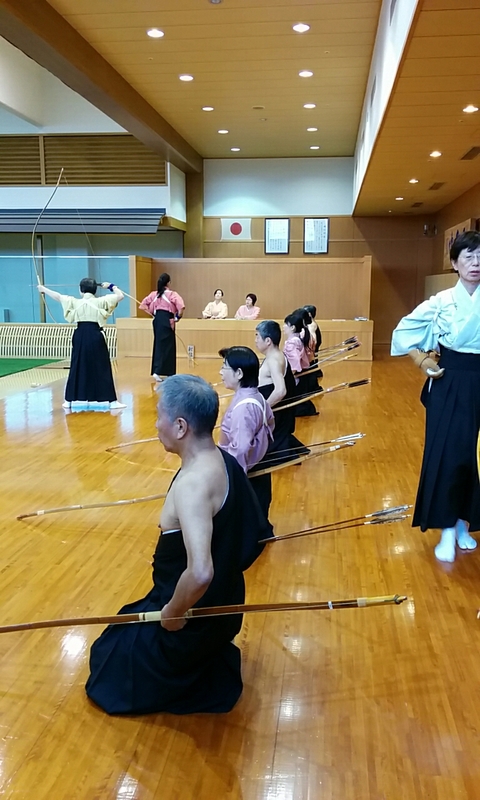 There it is supported by the body, I get it in Tai Chi, in Kyudo not so much. It is the bow pulling thing. 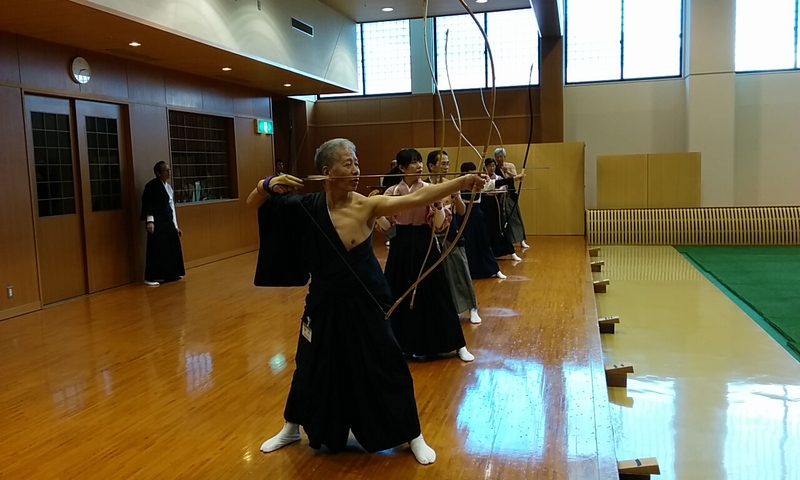 In Kyudo one needs some power, effort in order to open the Yumi. Ok, it is said use the bones, use the body. Much easier said than done, when trying to open a yumi. Hold it open, and expand one’s “being”, “self” as well. So much easier to say it, even to understand it mentally. Doing it a whole different story. 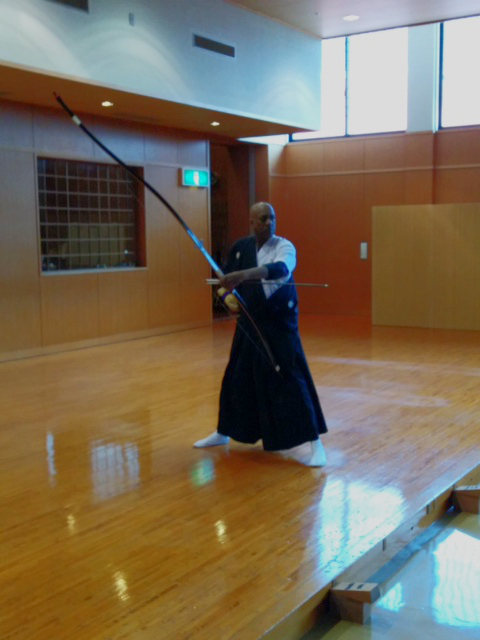 Yamashita Sensei says, use the bow power, do not add power to it. I have not got that yet. Anyway so I have been adding and adding, as best I can, things that I have been told. Making notes, keeping track of my scores. One of the things I have been struggling with is hitting consistently. I can get fairly good grouping, and, for the most part usually in the same spot. Last night it occurred to me, stop trying to change where you are hitting internally and just adjust my aim. My hit rate increased from 25% to 50% ! 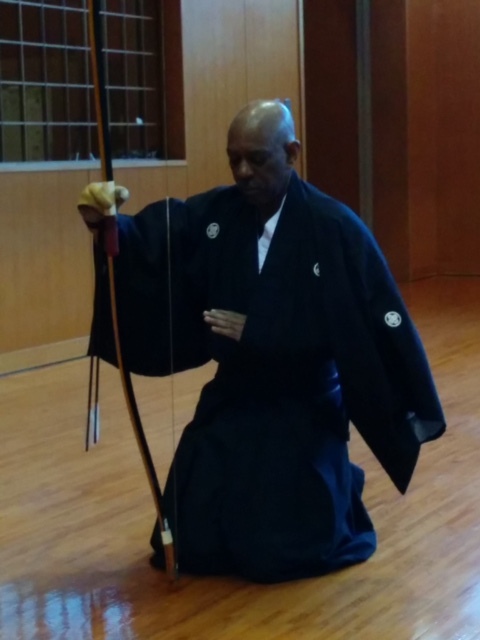 For that day, seems looking at my overall score from my Kyudo app I am about 35%. Not bad, but not really good, but not really bad. There’s a new sheriff in town! Goes by the name of Kimono. This adds a whole new level of stress, difficulty and challenge. Question…Is a Yon-dan in Japan “worth” more? noo, not really. Worth the same but harder to get in Japan. 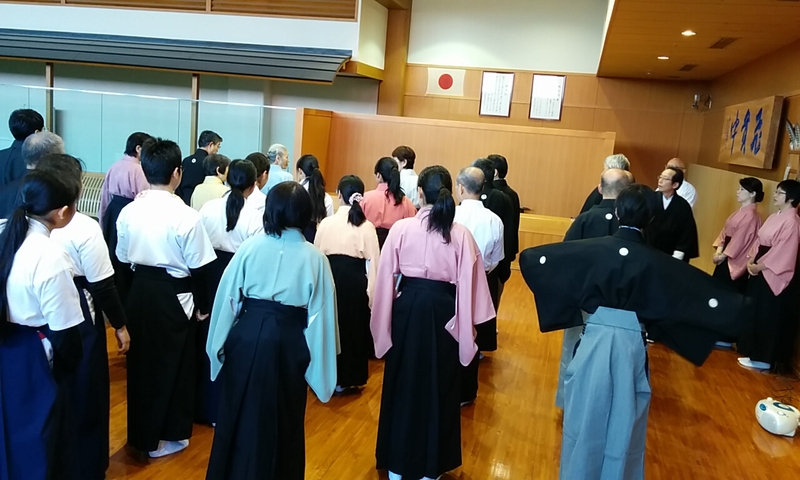 No dealing with Kimonos at San-Yondan shinsa in the states. There is certainly no shame in not achieving it ( yon-dan) the first couple of attempts. 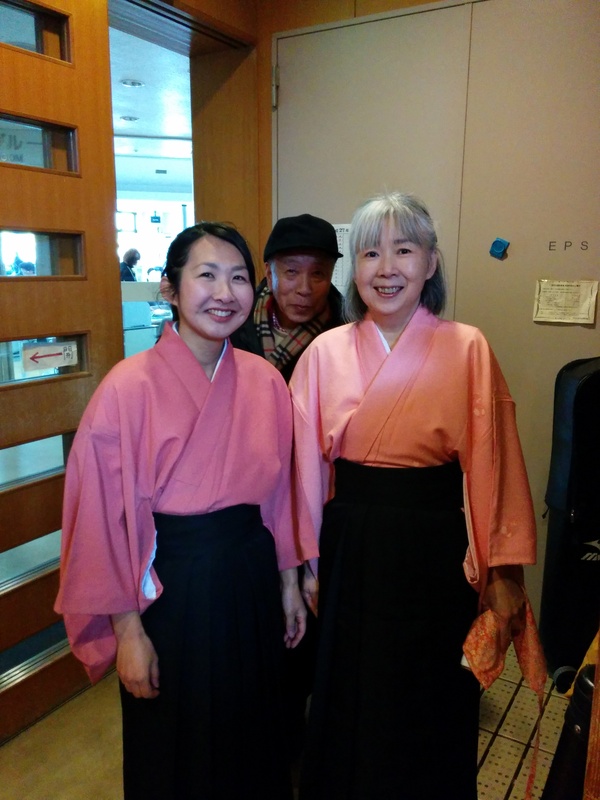 I do not know how much my kimono skills or lack of will weigh on the judges. 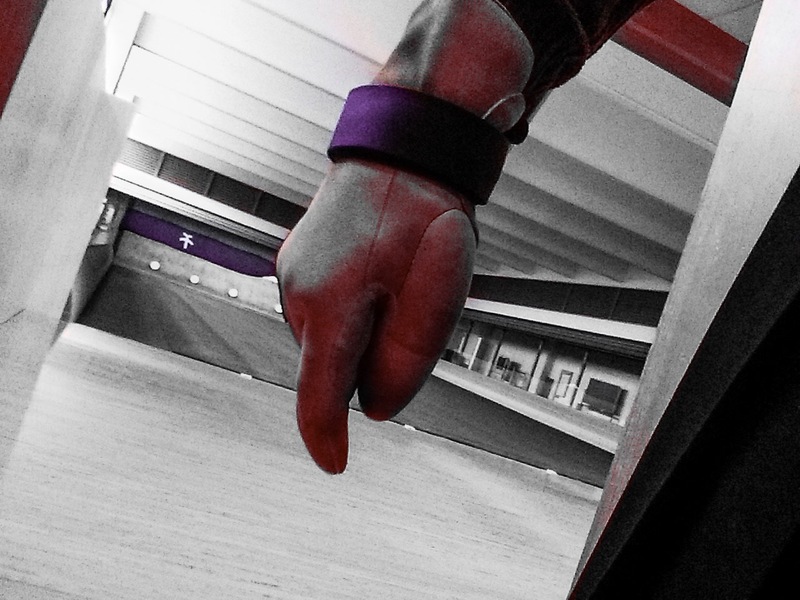 I have already set my mind to do my best, however, thinking, it is just a trial run for experience, so…no pressure. Today I wore my kimono, I knew I needed to practice…it was sad. However funny to me, how bad I sucked at taking the one arm out bit. Part of it had to do with having too many undergarments on, for warmth, cause yeah, it was cold!!! Anyway the Kaicho said, you need to practice everyday. 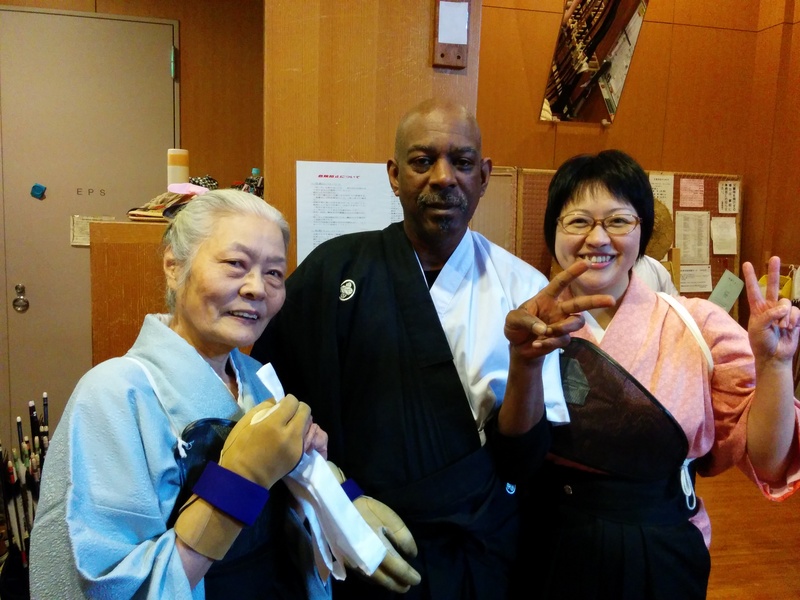 Ok, so for this shinsa a couple of people said you have to wear the kimono. Also meaning I need to do the Kimono drill perfect, or least smooth and near perfect. 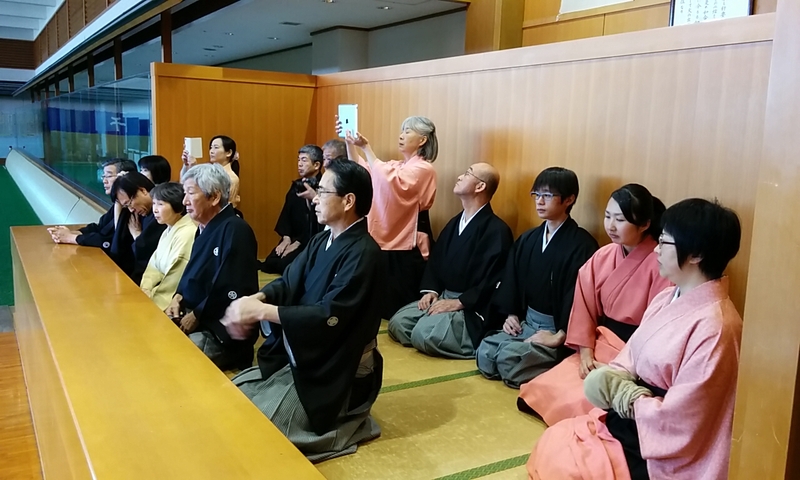 This is something stateside those doing shinsa for Yon-dan do not have to consider. However here in Japan it adds another layer of muzugashi (difficulty ) so does that mean that a yon-dan from Japan is worth more, because one has to work more for it? Hmm. I guess depend on One’s word-meaning on “worth”. Value, a better word, hmmmm no. It is kind of like the saying, what is a person who graduates at the bottom of his medical school class called?…”Doctor”. After the passing of my Shifu, I took a couple of days of stay at home to mourn. 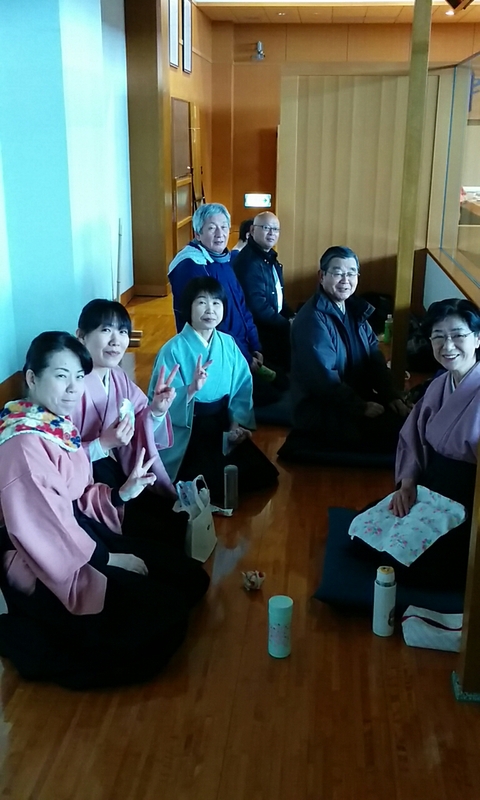 On the third day there was an event at the Dojo. Something called hatsuiyukai. First shooting of the year. It was good for me to get out and have a change. Things did not start until 1:00 pm so I could sleep in a little. It was a cold day, there was a small heater going , still scarfs and jackets were in order. There was a fairly large gathering of people turning out for this event. On this day is also the coming if age day. 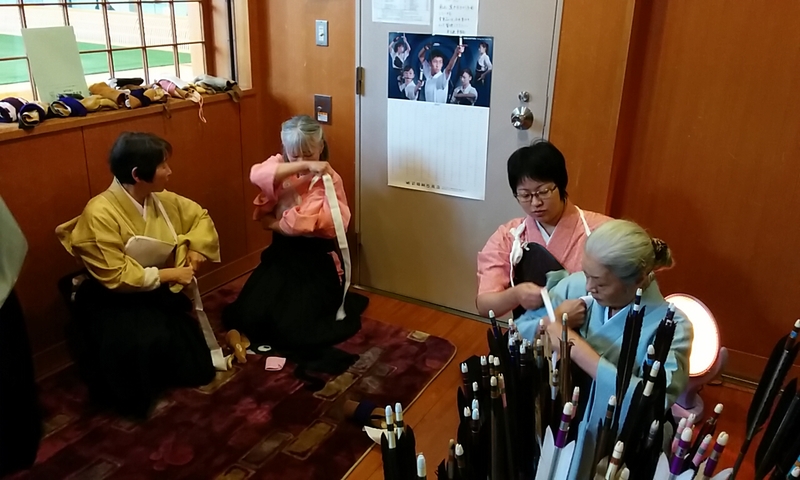 There are a lot of cute young girls who can now legally drink, walking around in Kimonos. There are a few boys in kimono mostly in suits though. I took a few pictures but they did not turn out. 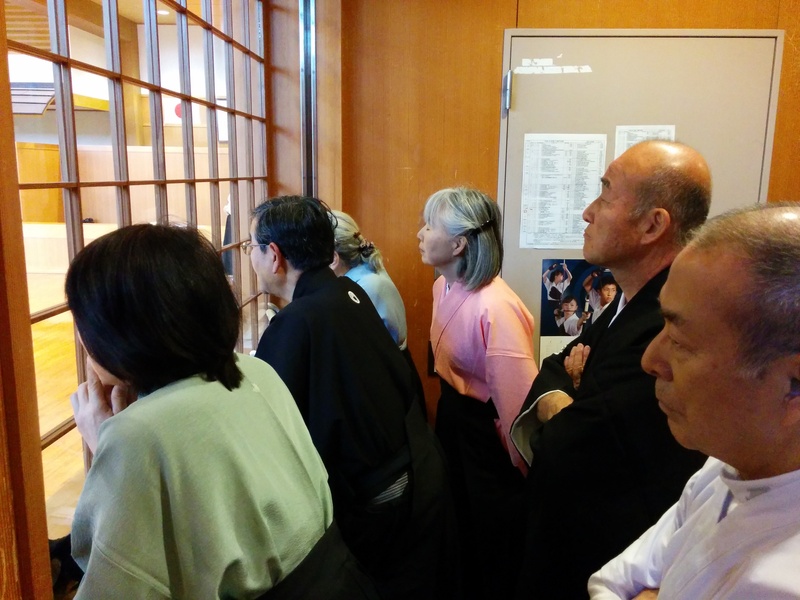 All this going on at the Kishiwada city gym. Meanwhile in the Kyudojo things are getting ready for the Tai-Kai. I am testing out the camera function on my new phone. I was pretty pleased with it over all. Of course my Nikon does better, but for convenience it is great. 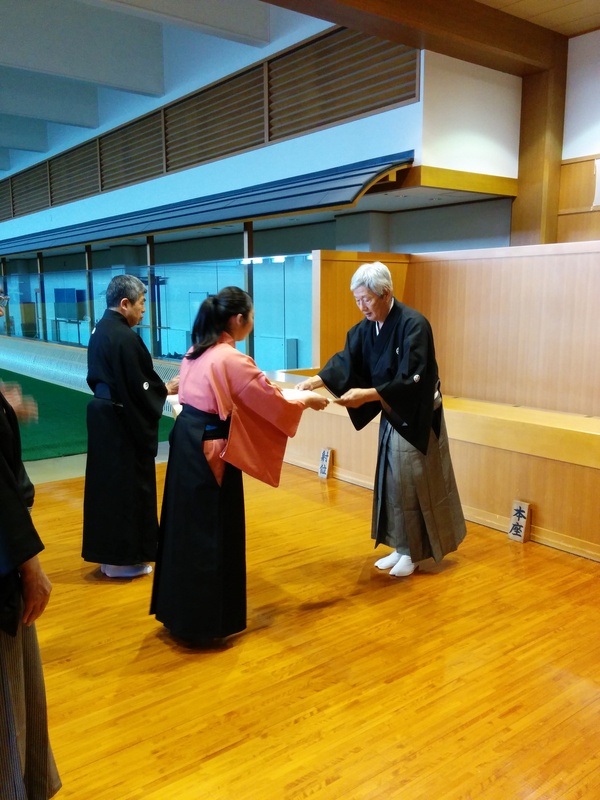 We started the Tai Kai, after some usual stuff, and the awarding of a San-dan certificate to a classmate. The one who tested with me but did not pass. After this we started. I did not do all that well, but I did get a few hits, so did not feel like a complete loser. We did the standard Matos, then did bingo, lastly the painted matos. It was fun and was more about fun than anything else. 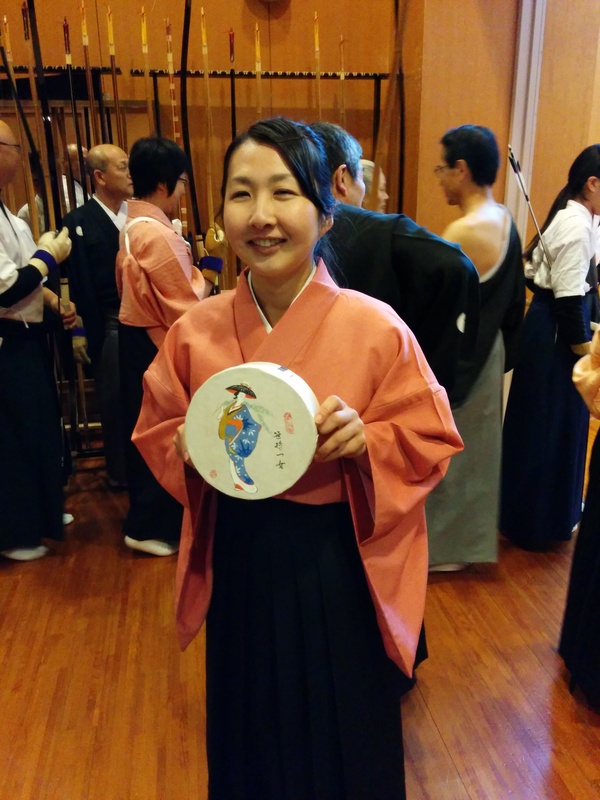 It was formal in that almost everyone wore kimonos, however the feeling was very casual. Can you tell?